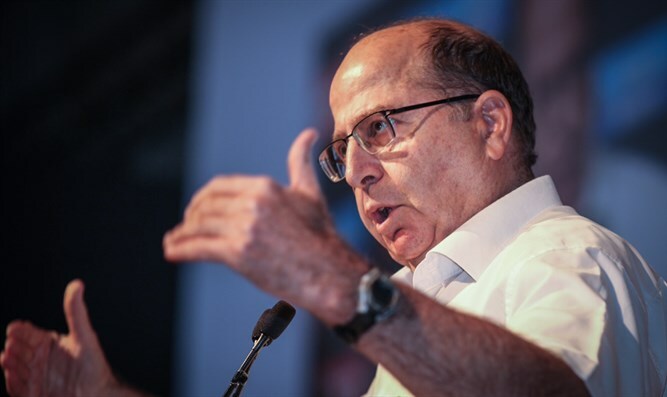 MainAll NewsInside IsraelEx-Defense Minister Moshe Yaalon to join Labor? Sources close to Labor chief Avi Gabbay say Labor is examining possibility of joint run with Moshe Yaalon's new faction. Former Defense Minister Moshe Yaalon may be considering a joint run with the Labor Party, Israeli media outlets have reported. Yaalon, who once served as IDF Chief of Staff, entered politics in 2008, running on the Likud ticket in 2009, 2013, and 2015. But Yaalon split from the Likud in 2016, after he was removed from his position as Defense Minister, and vowed to run at the helm of a new faction in the elections for the 21st Knesset. Since then, however, only a few polls in 2017 showed Yaalon’s new faction crossing the 3.25% electoral threshold. During 2018, Yaalon’s polling numbers continued to drop, showing his party failing to secure representation in the Knesset. With new elections just three months away now, Yaalon is reportedly considering a joint run with another party. While there has been some speculation Yaalon could team up with either Yair Lapid’s Yesh Atid faction, or former IDF Chief of Staff Benny Gantz’s new Hosen L’Yisrael (Resilience for Israel) party, sources in Labor say the party has been in contact with Yaalon regarding a possible alliance. According to a report by Kan, sources close to Labor chief Avi Gabbay say the party is considering either recruiting Yaalon or running jointly with his new party. The report also claims that Labor is weighing the possibility of bringing back former Prime Minister Ehud Barak. Labor spokesman, Itzik Elrov, refused to comment on the details of the report, saying only that a number of parties were in contact with Yaalon, including Hosen L’Yisrael chief Benny Gantz. On Tuesday, Labor chief Avi Gabbay ended his party’s partnership with the smaller Hatnuah faction, ending the Zionist Union joint list. The Zionist Union, which won 24 seats in 2015, has struggled in the polls over the past year, and in the latest surveys was projected to win just 7-10 seats before the breakup.